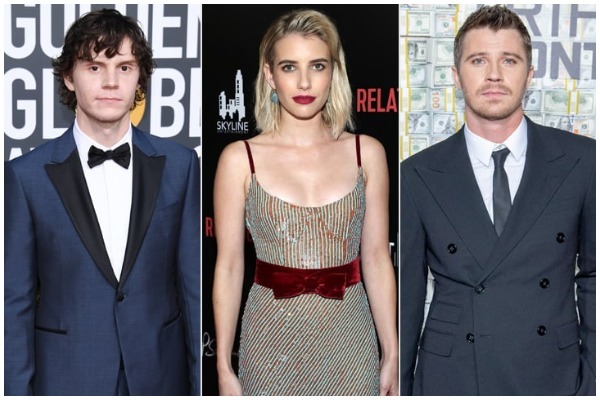 Emma Roberts and Evan Peters have reportedly called off their engagement after being together for 7 years. The pair had announced their engagement in 2016 and were seen together in movies such as Adult World and American Horror Story. The pair were first engaged in 2013. They first met on the set of Adult World in 2012 and were engaged for the first time in 2013. Emma and Evan later broke up in 2015. It was later confirmed that they were back together and engaged again in 2015. They also attended Vanity Fair’s Oscars after-party together in 2018. Their past had lots of ‘on and off’ situations and has led to some violent confrontations. But according to the sources, they aren’t on bad terms. They are definitely taking space from each other right now though. Perhaps, the time apart has helped Roberts. She seems to be moving on with the breakup and is dating the Triple Frontier star, Garrett Hedlund. Rumors swirled after Roberts was seen kissing Garrett Hedlund during an outing. The two were reportedly seen out to dinner and later shared a kiss outside the restaurant. Hedlund, 34, is currently starring in Netflix’s Triple Frontier also starring Ben Affleck and Oscar Isaac. He was famously in a relationship with Kirsten Dunst for four years before they split in 2016.